Peer-to-peer fundraising isn’t new. For years, many organizations have engaged supporters to raise funds on their behalf—everyone from staff and volunteers to program participants and current donors. Traditionally, these individual campaigns took the form of walk-a-thons and similar events at which supporters enlist sponsors from their own networks of colleagues, friends, and family. Informally, this kind of distributed fundraising is sometimes called “team,” “a-thon,” or “friend-to-friend” fundraising. Today, online tools let supporters participate in broad campaigns and reach out to diverse networks. Some facilitate the creation of individual online donation pages, while others provide “widgets” to place on personal web pages that allow fundraisers to speak directly to their own friends and family. Is this kind of fundraising right for your organization? We asked our nonprofit technology experts for advice on how to decide and recommendations about tools that have worked well for them and their colleagues. We’ve compiled those findings here to help your nonprofit get the most out of its peer-to-peer fundraising campaign. Most basic tools in this area let people create their own personalized fundraising pages related to your campaign. These individual pages provide opportunities for supporters to use pictures and text to talk about their involvement in the cause, to which they direct their friends as part of an appeal for donations. Many tools also offer fundraising “widgets,” or “badges,” which usually take the form of a small box—often with a logo, text, and donate button—that can be added to existing websites, blogs, or social network profiles. While supporters may need to know a little HTML (the programming language of websites) to add widgets to a page, they can be useful for reaching out to existing communities such as a blog’s audience. Widgets also allow people to send their donation requests out multiple times to individuals in their network without seeming pushy—the information is always at the bottom of a blog post or email, but they don’t have to make a direct ask each time. Some of the more sophisticated tools also let organizational staff members oversee a campaign’s progress. A centralized web page may show the overall status of the campaign with tools to compare individual fundraisers’ results or easily download information about donors. Some even allow fundraisers to organize themselves into teams and let you track the progress of each. More and more, the lines between peer-to-peer fundraising and Crowdfunding are becoming confused as the respective tools are used for similar purposes. Perhaps the best way to define them is in contrast to one another. Crowd-sourced fundraising tools often contain many of the same features as standard peer-to-peer tools, with one important difference—in addition to allowing nonprofits to reach out to current supporters and invite them to fundraise on the organization’s behalf, crowd-sourced tools offer access to a new network of people interested in supporting compelling projects. Individuals join the “crowd” using a specific tool, search the charities and other projects posted there, and make donations—frequently to organizations with which they have no established relationship. Often these tools cater to a specific mission area, such as arts, education, or progressive causes. Most rely on innovative funding models to encourage their community of donors to participate and rally around a cause. Kickstarter is the crowdfunding platform with which you’re likely most familiar. However, Kickstarter no longer allows nonprofits and charities to use its platform. It has opted instead to focus on art, music, film, and other creative projects. 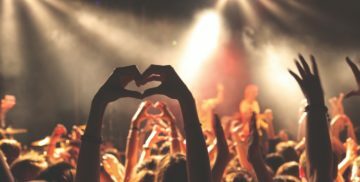 For a similar experience you might opt for Indiegogo or GoFundMe, two crowdfunding sites that have more openly embraced nonprofits and their supporters, each with its own unique cost structure. Peer-to-peer fundraising takes more than just the right tool. A successful peer-to-peer campaign almost invariably requires planning, experience, and staff time to create and run a successful fundraising campaign. Often, the right tool depends on many different questions of scope, including how much time you can devote to organizing and supporting your campaign, how large and reliable your network of supporters is, and how much money you can reasonably expect to raise. Do you have the time? Successful campaigns integrate basic tools with social networking and conventional communications, making them complex to manage. For most, expect to spend as many as 20 hours per month to run and support your campaign. It’s essential to make campaigns fun and easy to participate in, which means putting in more than just the minimum time and effort. To keep your fundraisers active throughout the campaign, you’ll need to create unique incentives, provide responsive technical support, and develop engaging templates that help your fundraisers gain traction and feel supported at all points in the process. Blog posts, progress updates, and cool prizes all can help keep energy up. If you ask staff to fundraise, make sure you provide them time to set up individual pages and get involved. Who will be running the campaign? Without leadership and support, a campaign will never build the momentum needed to be successful. Determine beforehand who from your organization will be the point-person for your campaign. That person can’t do all the work alone; you’ll want to form a campaign committee of three-to-seven people from within your organization and your larger community. Who from your community of supporters could be a cheerleader, drumming up excitement for the campaign? Who likes to take charge of the details? Who has an instinct for fundraising? These people may be the core of your committee. Do you have the network? How many fundraisers do you need to make the campaign work and how big are their networks? As messengers for your cause, effective and connected fundraisers are important—they are the key to your success. You should have a number of “seed” fundraisers committed before launching the online campaign. How will you support your fundraisers? A strong community of supporters motivated and excited about helping your organization raise money is the backbone of your campaign. It’s not enough to just pick a tool and turn them loose. You’ll need to train them on how to use the tool to be effective fundraisers and support them throughout the process with helpful tips, goal-setting guidance, success stories, or inspirational quotes. Once your campaign has ended, make sure to recognize them for all the work they’ve put in to make it a success. Also, take the time to reflect on what worked and what you can improve on next time. How much do you expect to raise (and pay)? Since many successful peer-to-peer campaigns are centered around events that your organization has run in the past, you can use these fundraising totals as a baseline. However, as you begin comparing tools, you’ll notice that each has a unique cost structure with different monthly fees, transaction fees, and processing fees charged by credit card processors. The more money you raise, the more these variable rates will cost you, so it’s worth it to calculate into your fundraising goals how much of that target you’ll end up paying to the vendor. Depending on the system you choose and the funds you raise, you can end up saving thousands dollars compared to a similar tool. Are you reaching out to the people in your network where they are? Make sure you’ve correctly identified the tools your network is likely to use. If you’re using a tool that only works for registered Facebook users, ensure that your supporters are using it. On the other hand, if your supporters use email much more than Facebook, you could be missing a whole group of potential donors by not including it in your strategy. Do you have the technology know-how? Different tools require different levels of complexity, customization, and involvement. If you’re just starting out, choose a solution that’s easy for participants and administrators to manage. If you expect a lot of participants, choose one that can integrate campaign data into your existing systems, but remember, more features can often mean more complexity. Does the application have “critical mass” or reach? Since you’re often essentially co-branding with the tool’s provider, the reputation and professionalism of your chosen tool are important. In addition, better-established vendors can typically provide better technical support to keep a campaign running smoothly. Do you have to commit to a tool? If you’re just starting to plan your first peer-to-peer campaign and these questions are difficult to answer, one approach might be to just pick a low-cost, simple tool that meets most of your requirements and begin working within the constraints it gives you. On your next campaign you’ll have the opportunity to reflect on what worked and what didn’t, and perhaps scale up to a more robust tool. Many stand-alone tools let you experiment with distributed fundraising without making a significant investment. They’re relatively easy to set up, have low upfront costs, and are better for smaller campaigns or if you are new to peer-to-peer fundraising. In this area, there’s no such thing as a truly free tool—even those that don’t charge upfront licensing fees take a percentage of each donation. (In addition, the payment processor that handles the credit card processing will charge its own fee for each transaction.) Nearly every tool we reviewed offer upgrades to more sophisticated features, such as the ability to create campaign blogs and connections to social networking sites. With these tools, your campaign is generally hosted on the vendors’ website, although some tools let you customize the look and feel to more closely match your own site.Some offer helpful features on fundraiser sites such as “thermometers” that visually display the campaign progress, lists showing people who have already donated—and, often their comments—and the ability to upload contacts from other sources. When evaluating these systems, remember to look into how easy it will be to move your data into your donor or constituent management system after your campaign ends. CrowdRise. Of the tools mentioned here, CrowdRise supports the most general audience, allowing nonprofits to set up unlimited fundraising pages and invite supporters to create personal pages and collect donations on their behalf. It also offers access to the large community of donors using the site. Nonprofits have three price levels to choose from: the basic level, with no annual cost and a five percent fee per donation; a mid-level plan for $49 a month and four percent fee per donation; and a higher-end plan, at $199 a month and three percent per donation. Under the paid plans, profiles are promoted to the CrowdRise community and offer such additional benefits as premium support, lower per-donation fees, and, with the highest-end plan, the ability to brand your fundraising pages to your organization. By default, charity donations are managed through Network for Good, but organizations can also choose WePay, both with transaction fees of 2.9 percent plus $0.30 per donation. CauseVox. A high degree of customization, visually attractive real-time updates and dashboards, and numerous features set CauseVox apart from its rivals. At the lower end of the cost spectrum, CauseVox certainly allows for the greatest amount of visual customization. You can embed multiple types of content, use widgets and APIs to embed content into other sites, host your page on your own domain, and even edit the HTML and CSS of your page directly. CauseVox also does not charge monthly fees until you have raised your first $5,000, an added bonus for nonprofits who might be interested in just dipping their toes into peer-to-peer. The “Starter Plan” begins with no monthly fees and a five percent fee per transaction, albeit with limited functionality when compared to the paid plans. The “Impact Plan” is $49 per month with a 4.25 percent transaction fee, while the “Pro Plan” is $129 per month with a four percent transaction fee. CauseVox’s credit card transaction fees vary from 2.2 percent to 2.9 percent depending on the processor you choose and your nonprofit status, with an additional $0.30 per transaction. Razoo. Low costs and substantial functionality make Razoo a compelling option. Its friendly format allows organizations to create a homepage and develop multiple, separate fundraising projects that all link back to a central page. Supporters can fundraise on behalf of the organization through one of its pages or create their own personal project pages. Razoo profiles are not as customizable as other tools, but do allow both the organization and fundraisers to add images, videos, and text. Interesting features include the ability to present an annotated donation amount menu and support for recurring gifts. Razoo also supports team fundraising projects as well as individual or personal projects. For organizations, Razoo takes 4.9 percent of each donation, which includes credit card processing, and Razoo gives donors the option of paying for these fees in addition to their donation. There’s a minimum donation amount of $10. Classy. Formerly known as StayClassy, this tool offers fundraising pages for both organizations and individuals with a modern interface that allows for a high degree of branding and customization, including APIs that allow you to integrate your fundraising pages directly into your website. Additional features include automatic mobile support and simple integration with Salesforce. Classy has three pricing levels, however, with a steep step-up from basic to premium. The Classy Starter plan is free, with a five percent transaction fee, and is limited to one campaign and one administrator. Classy Pro starts at $499 per month with a two percent transaction fee and includes unlimited campaigns and a much wider feature set geared towards organizations using it for all of their fundraising needs. Salesforce can be integrated with Classy Pro for an additional $250 per month. The most expensive option, Enterprise, is $1,499 per month with transaction fees under one percent, and Salesforce integration included at no extra cost. FirstGiving. Owned by FrontStream Payments, FirstGiving provides easy-to-use tools that let supporters set up their own fundraising pages and lets campaign administrators track campaign progress across individual fundraisers. There is only one option for nonprofits—the premium package—which, at $500 per year (plus transaction fees), offers more customization, the ability to link back to your organization’s homepage, and support for teams of fundraisers. FirstGiving also has some Facebook integration options, but unlike some of the other tools, does not have a built-in audience—you’ll need to rely solely on your own supporters to spread the word. Transactions cost 7.5 percent (five percent for the FirstGiving service fee and 2.5 percent for credit card processing), with an event registration fee of 4.25 percent. Like Crowdrise, FirstGiving includes an option to have your donors pay the service fee. When thinking about tools to implement a peer-to-peer fundraising campaign at your organization, the best place to start is in-house. Your own constituent management or donor management system may work just fine. Many systems—including DonorPerfect Online, DonorPro, Artez Interactive from Frontstream, and Blackbaud’s suite of tools—offer fundraising features and will have suitable peer-to-peer functionality, though you may need to pay an additional fee. Using a system you already have offers the benefit of direct integration with your existing database, which can provide insight into your success and save you considerable time once the campaign is complete. These integrated options offer varying levels of functionality and features. More advanced tools—such as Blackbaud’s Friends Asking Friends or TeamRaiser (formerly Convio), FrontStream, and Kimbia—provide more features for organizations already using online fundraising software from these providers, or who are interested in using an online fundraising platform with peer-to-peer integrated in. This class of tools typically allows for more centralized organizational control over a campaign, such as the ability to make changes to your individual fundraisers’ personal pages. Other advanced features could include integration with your donor or constituent management database, the ability to display a public summary of the entire campaign, track the progress of your fundraisers or teams, or set auto response emails for supporting your fundraisers. Pricing information is more difficult to determine from these companies, and is likely to dependent on implementation costs and whether or not you are already using a fundraising solution from the company you choose. But if you’re running a large and continuous online fundraising campaign and are looking to make peer-to-peer part of it, one of these broader tools might be more effective for you. Whatever your budget, you can likely find a tool that will allow you to try out an online distributed campaign. Advanced features and customization can be helpful, but inexpensive tools can be used creatively to good effect. Customization and the ability to manage the overall campaign may be more of an issue for larger campaigns where it’s important for your staff to see the progress of the entire campaign. More important than tools is your strategy. Identify who you’re going to ask to participate and how you’re going to ask them, and then help them keep their momentum. 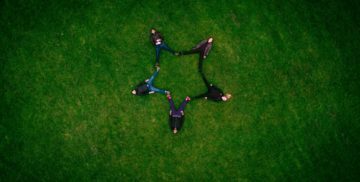 Distributed fundraising can be a useful technique for many different kinds of organizations, as long as you have a core nucleus of devoted followers who can help you spread the word about your organization—and you’re willing and able to invest the time to manage and support their fundraising efforts. Peer-to-Peer Fundraising Made Easy: A Step-By-Step Workbook. 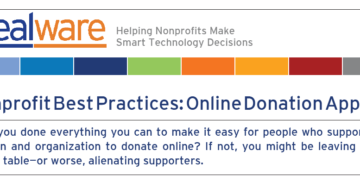 This workbook, created by Idealware and Cathexis Partners, walks nonprofits through peer-to-peer fundraising campaigns from planning through recruitment and support to preparing for the next one. Crowdfunding Tools to Fundraise the Project of Your Dreams. This blog post from SocialFish provides a quick summary of seven popular and emerging crowdfunding platforms.